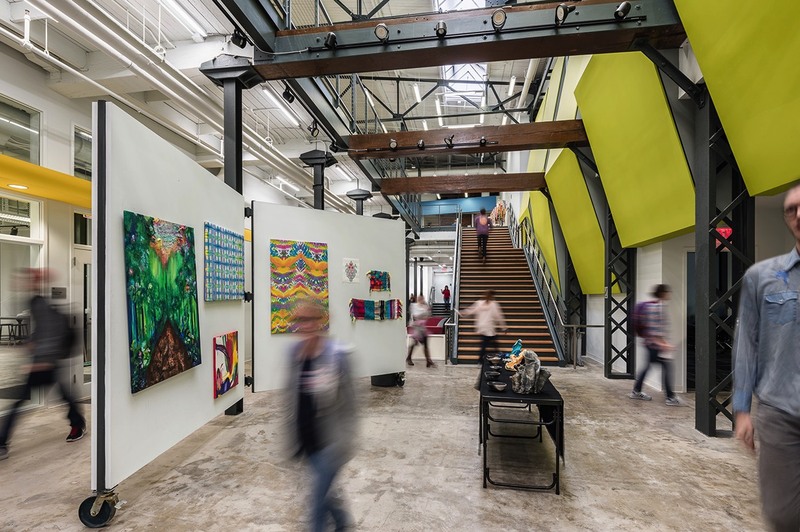 A former tobacco processing facility had experienced many alterations since its original construction in 1899, with an ultimate conversion to loft-style apartments in 2004. 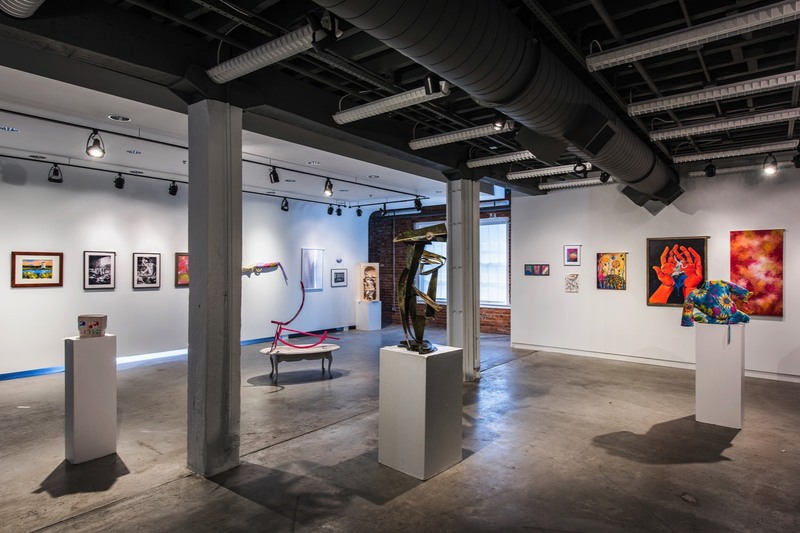 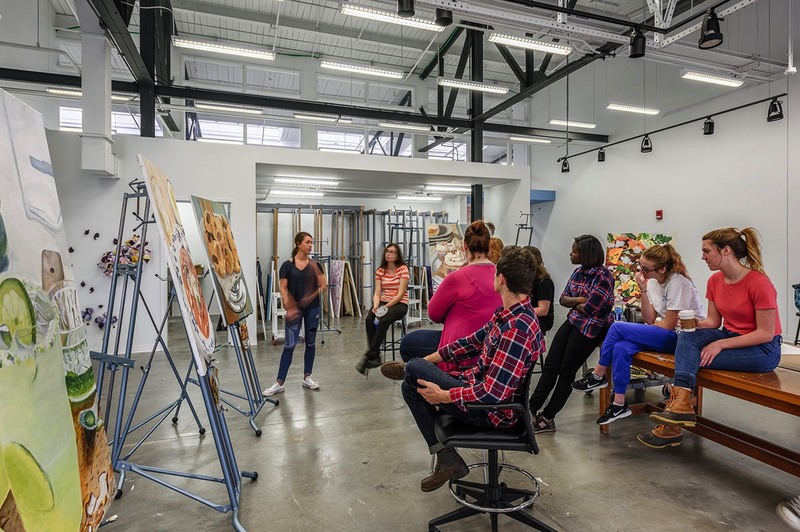 Because of its close proximity to campus, the University of Kentucky purchased the building for conversion to studios and classrooms for their School of Arts and Visual Studies – a program that had long been housed in an inadequate, failing structure. 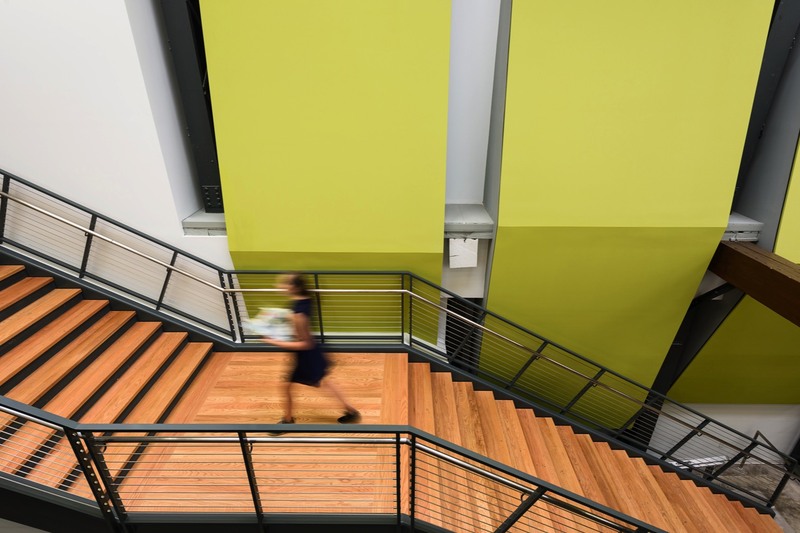 Working within a modest budget, the design team completely transformed the building, introducing light-filled spaces, durable finishes, and updated mechanical systems to conserve energy and create a safe environment for the Arts programs. 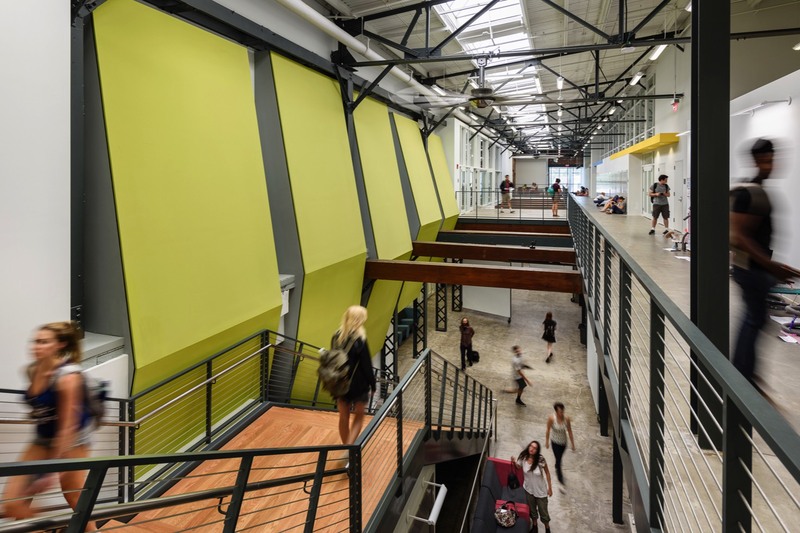 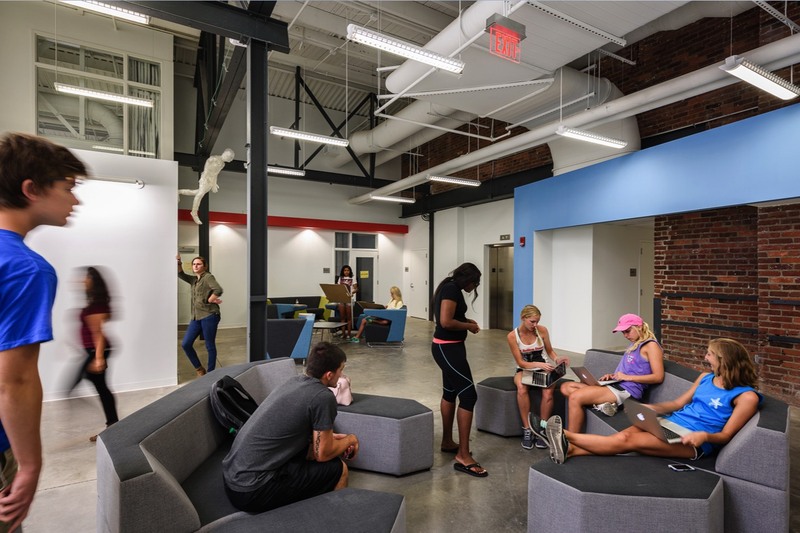 The renovated building houses administrative offices, digital media labs, multiple galleries, instructional studios, and faculty and student studios. 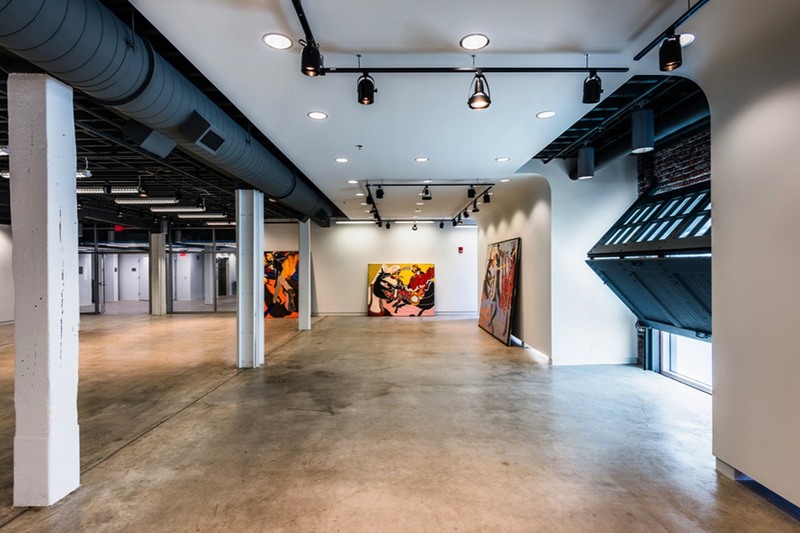 Architectural features include high ceilings, wide corridors with critique spaces, extensive daylighting, and studios for all types of art media. 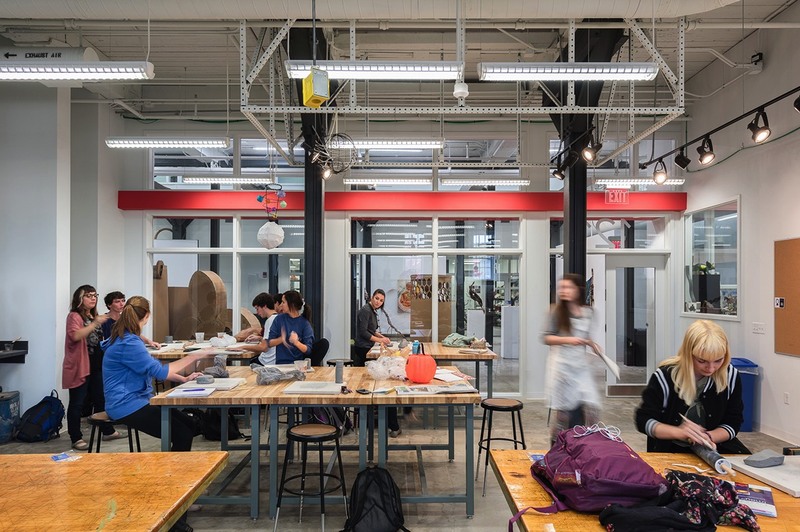 The renovation transformed the building into a home for Art that fosters collaborative, interdisciplinary projects. 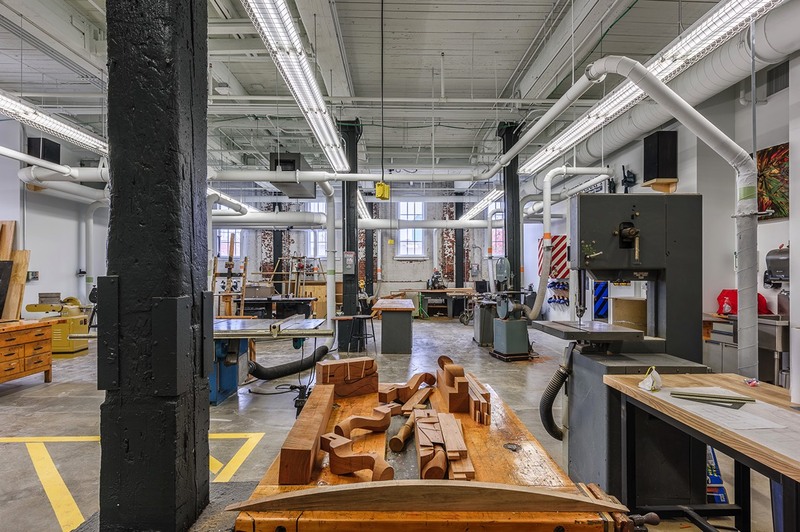 Student and faculty studios are housed in close proximity to state-of-the-art new media labs, a multipurpose 3-D fabrication lab, a photography and darkroom suite, ceramics studios, a printmaking shop, a wood shop, as well as drawing, painting and design studios. 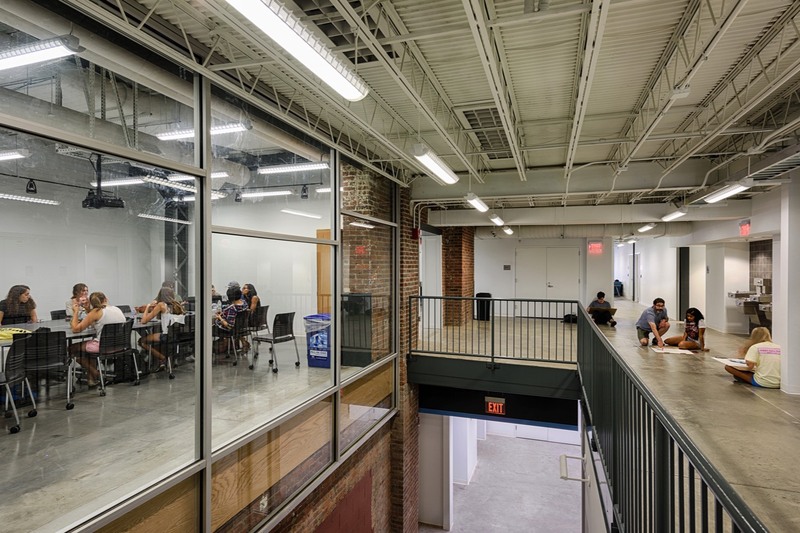 There are also spaces that foster experimental and cross-disciplinary conversations and critiques.